A package of bills to help us achieve these goals earned committee approval and will now advance to the full House for a vote. Improving the way CTE works in Pennsylvania also would include putting at least one K-12 career and technical center administrator on each Workforce Development Board and creating a database with information on where courses, programs, certificates, and diplomas transfer among public schools and institutions of higher education. To learn more about #GoodJobs4PA, click here. 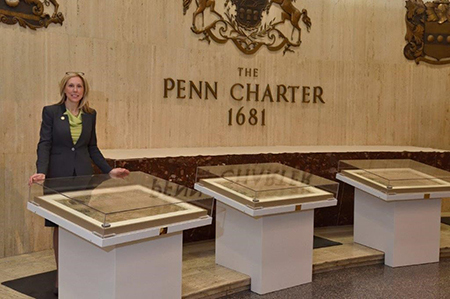 To mark the 338th anniversary of the founding of Pennsylvania, I visited the Penn Charter, signed in 1681. The royal charter signed by King Charles II granted the then Province of Pennsylvania to its founder, William Penn. The House Health Committee, on which I serve, heard testimony about difficulty in attracting doctors and other health care employees to Pennsylvania. You have probably heard about a bill to require all gunowners in Pennsylvania to register their firearms and themselves with the state or face having their legally owned guns taken from them. As a defender of the Second Amendment and legal gunowners, I will never support this measure, or any others like it. House Bill 768, would require legal firearm owners to apply with the Pennsylvania State Police for a certification verifying that they can legally own their firearm. These individuals are required under the bill to not only register but register every firearm they own. Additionally, applicants for the certification must provide the state police with a picture of themselves and submit themselves to fingerprinting. Should an individual fail to complete the certification, he or she would have to surrender all firearms. This bill is both radical in its proposal and troubling for how it violates several constitutional rights of Pennsylvanians. First this legislation violates an individual’s constitutional rights to own a firearm. Additionally, the legislation violates the constitutional right to privacy recognized by the Supreme Court in landmark cases such as Griswold v Connecticut and Lawrence v Texas. To better inform gunowners of their rights and responsibilities, I will hold a Firearm Owner Rights and Responsibilities Seminar at the Franklintown Fire Company, 107 Baltimore Road, Franklintown, on Wednesday, April 3, from 6-8 p.m. A second seminar will be held in Fairview Township in May. 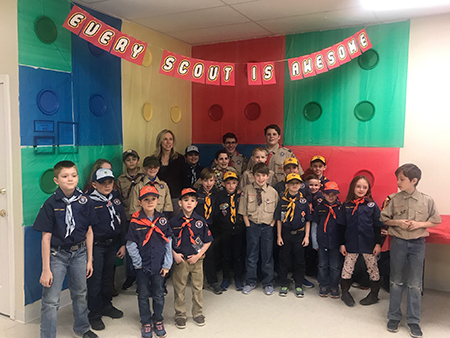 It was my privilege to serve as the guest speaker during Boy Scout Troop 284’s Arrow of Light Ceremony in Lewisberry. Thanks for having me, scouts!